Sometimes when I finish a book I wish that my sister lived much closer to me. Because then I could physically put the book in her face and say READ THIS NOW BECAUSE I NEED TO TALK ABOUT IT. I would not have to worry about silly things like jobs or miles between us or families that need attention. I need to be able to grab my sisterly share of Holly’s life. 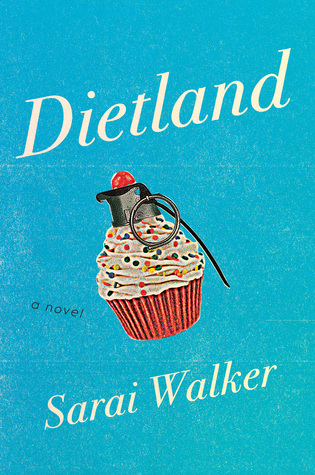 So Holly when you read this add Dietland to your TBR please. I swear its up your alley! We meet Plum while she’s waiting to undergo gastric bypass surgery. Plum’s given name is Alicia- but that’s not who she feels like. Alicia is her skinnier self. When Plum has had the surgery and feels like Alicia then her real life can start. So I started this book feeling really sad for Plum. She’s basically alone. She talks to her parents on the phone, has one friend and works from home because she’s not thin enough to go into the office of the teen magazine that she works for. And then she starts being followed. So how do Plum and Jennifer link together? Read it and find out because I’m not going to spoil it. But this book gives you so much to think about after reading. I’m still thinking about body image and the F-word (F-A-T) and then the other F-word (FEMINISM!) and terrorism against women. I’m thinking about what our reaction as a society should be and what to teach my daughter. Have you read Dietland? What did you think?! Let’s talk! Thank you Houghton Mifflin Harcourt and NetGalley for this advance copy in exchange for an honest opinion. 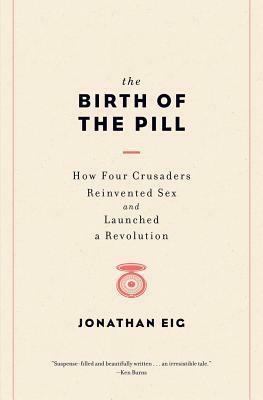 The Birth of the Pill was a fascinating look at the 4 people that put their names, their time, their brains and their money behind the creation of what we now know as “The Pill”. I already believed that the availability of birth control is one of the most empowering inventions ever for women but this book gave me the actual history to back that up. I have 12 pages of highlights on my kindle and I still don’t know how to review this book. You should read it- let’s start there. Nature intended motherhood to be woman’s career. Anything that diverted a woman fromstarting that career immediately upon marriage is socially wrong. Yet by the time the Pill came on the market as Enovid in the 1950’s Rock was actively trying to get the Catholic church to accept Catholic church for women. Quite a shift over really a relatively short time period. Something that was shocking to me was the tie in between the developers of the Pill and the eugenics movement-that was scary. Not what one thinks about when considering medical pioneers. The lack of oversight in the human testing process both in the US and Puerto Rico also put the time period into perspective for me. Pincus and Rock and their colleagues tested the Pill on basically any woman willing to sign up without giving an informed consent like you would see today. A large number of the women testing their dosages were actually trying to get pregnant-not prevent. Now, Rock was absolutely interested in the use of hormones to help women with fertility issues, but the dearth of information given to patients would help you to lose your medical license if you tried that today. The Birth of the Pill gave me quite an idea of what life might have been like without the access to birth control that we have right now. The personal appeals to Sanger and McCormick as the women behind the project made me sad and so very thankful for the work they did! The letters quoted were quite sobering – a 30 year-old woman with 11 children in 14 years of marriage. Can you even imagine? Because I can’t. Eid followed the timeline of the work on the Pill while moving the focus from player to player often so the book moved pretty quickly for me and never became too dry or scientific. This was a completely fascinating look at the 4 players that made the Pill as we know it possible. Read this! Or tell me what you think if you have read this! Thank you W.W. Norton & Company and Edelweiss for this advance read copy in exchange for an honest opinion!